When you're looking for your next embroidery project, why not look to the past? Vintage embroidery patterns have a unique style to them and there are so many to choose from, most of which are free. There are even more options available to you when you consider new patterns with a vintage style. Look through these 10 vintage embroidery patterns, exploring many of the sites for even more patterns. And when you're ready to make something from recent years, there are always these 10 modern embroidery patterns. Aunt Martha's makes new vintage patterns, like these butterfly and cross stitch days-of-the-week motifs. The designs themselves were mostly created in the 1930s and '40s, but the transfers are all freshly produced. That means you get the charm of vintage style with the reliability of new iron-transfers. Starting with a piece of vintage embroidery for inspiration, this pattern features a wreath border of flowers and foliage with the word "bloom" in the center. Use the floral frame on its own or change out the text for another word or even a short poem. Lots of vintage patterns feature objects and food with faces, like this pineapple and its lemon friends. Maria, aka.mmaammbr on Flickr, collected and scanned hundreds of designs that are now in the public domain and she shares them for free. These laughing fruits are part of a collection of other fruits, but be sure to look through her feed for more vintage pattern options than you could imagine! This adorable Cat Lady pattern isn't vintage, but the style certainly is. It might be the open lines of the kitty, the dainty florals, or perhaps the overall charm, but this pattern feels like you stepped back in time. Designer Sarah Milligan offers the pattern in both PDF format and as a kit that comes ready to stitch with the design printed on the fabric. Shirley from Hudson's Holidays started with a public domain vintage pattern of an embroidery hoop and then added some irreverent text. It's a perfect combination of old and new. Even if you prefer a more traditional design, this is a great source for cute vintage and primitive-style patterns. 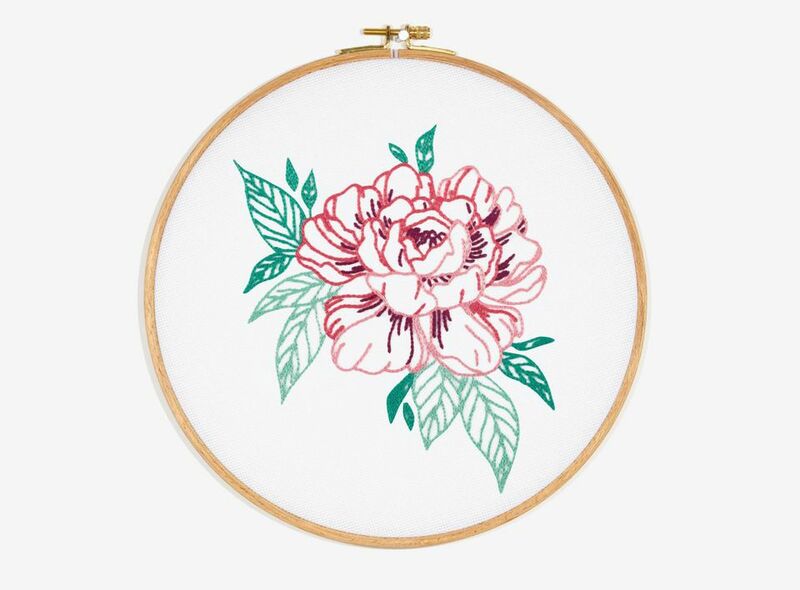 For embroidery with a classic vintage style, look to DMC's growing collection of free patterns. This single peony design is new but looks like it's from the past. It's also one of several peony patterns in a series. They would look beautiful stitched and displayed together. Vintage Fan Girl found these patterns at a yard sale and cleaned up the art to make them usable. The outlines of these animal friends make them cute enough, but the addition of the floral and plaid patterns ups the cuteness factor. Stitch them on a pastel color for a sweet nursery decoration or cut out around the embroidery and make them into stuffed animals. Use this sweet vintage pattern to embroider a handkerchief as Bobbypin Bandit shows on the blog Feeling Stitchy. She tells you how to make sure your stitching will last through washings and directs you to the free design. Even if you don't want to make a hankie, grab this birdie and add it to a T-shirt! These anthropomorphic dishes are a classic example of vintage embroidery patterns. They're also days of the week designs, which show up a lot in older transfers. The idea behind this type of pattern collection is to stitch them on kitchen towels and use one each day. And with such happy dishes on your towels, you're sure to have a smile on your face! Add a bit of charm to your picnic blanket with this free picnic girl pattern from The Hausfrau Journal. 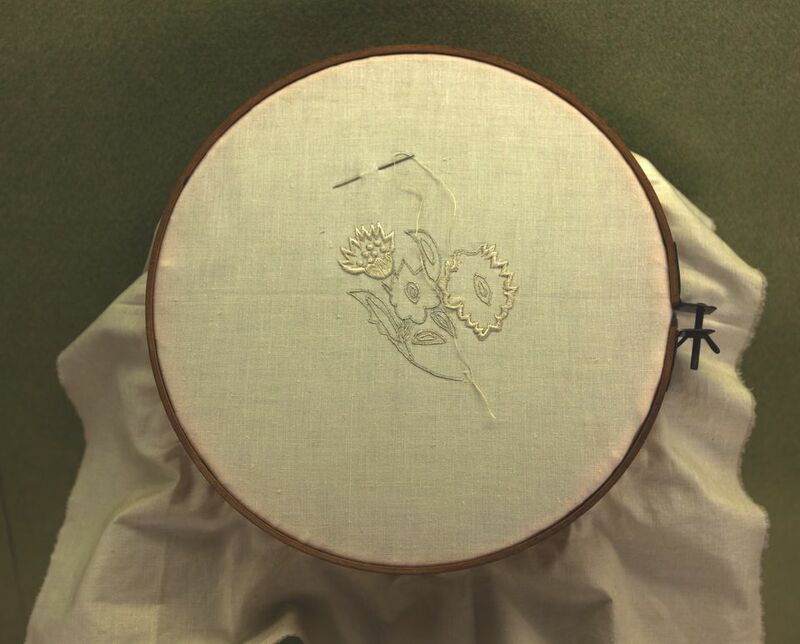 Stitching this as outlines would look great or you can also try some beautiful fill stitching. You might even want to bring this stitching project along to work on while you're picnicking.